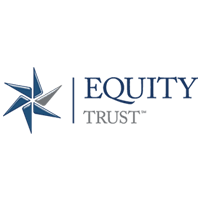 Millennium Trust Company is a retirement account provider that enables users to easily track their investments. 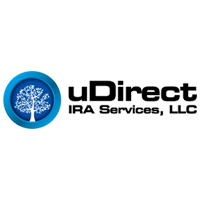 They offer features such as asset record maintenance and internal revenue service (IRS) reporting among others. In this article, we cover user reviews and pricing. Ready to get started with Millennium Trust Company? Visit their website. Users who gave Millennium Trust Company a positive review like how they can easily navigate their webpage to search for information. Others mentioned that their customer support representatives are very pleasant and professional. One user who gave Millennium Trust Company a positive review on Yelp commended the website’s straightforward interface as it makes tracking her deposits and accounts very simple. Users who gave Millennium Trust Company a negative review complained about having to pay additional fees that they didn’t agree to. Some also mentioned that the company does not regularly update them regarding the status of their accounts. One user who gave Millennium Trust Company a negative review on Yelp commented that she was not notified that her account had been rolled over to the company. She also said that they included hidden fees in her bill. Millennium Trust Company’s pricing involves enrollment and maintenance fees for each account. A one-time establishment fee of $50 and an annual account fee of $100 are part of the standard fees. Ready to get started with Millennium Trust Company? Visit their website. How do I open an account with Millennium Trust? You can either submit your documents with your e-signature via their website or print and fill them out then mail them to Millennium Trust. What are the types of accounts I can open in Millennium Trust? 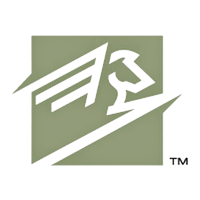 Millennium Trust specializes in individual retirement accounts (IRA) but also offers custody for non-retirement accounts for individuals, trusts, and organizations. 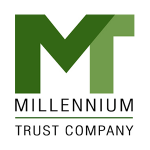 Not sure if Millennium Trust Company is the right fit for you? Read our reviews of all top retirement account providers or check out one of these three Millennium Trust Company competitors.